The first installment of this series looked at my Beauty Favourites in 2016 which featured a heap of makeup products; this time around I am looking at skincare and beauty tools in general. Long time readers of my blog will instantly recognise a few favourites in the mix, as well as a couple of more recent products which have been instant hits with me and so many of you too. When I first was sent this to review I was apprehensive, I mean it is just a hair brush and how good can a hair brush really be? Needless to say that having since used this I have already made a back up purchase of my own; yes it is that good. This brush is like no other in my opinion, it makes brushing your hair when it is wet a breeze, (yes I know it is not a good thing, but the alternative does not bear thinking about). Throughout the year I must have repurchased this about five or six times. In my personal opinion it is the best micellar water that I have used to date; it beats so many more expensive options and it also comes in a deluxe size so I find it superb value for money. It is gentle on my eyes, packaged well and super affordable. Garnier really did pull it out the bag with this one. In all honesty this isn’t the most glamorous product to talk about, however it is a necessity and is part of my ‘beauty’ regime every single day. For a very long time I found it quite difficult to find a deodorant that worked all day long. It doesn’t help that I am quite picky when it comes to deodorants either as I am not a fan of sprays and I cannot stand the little roller ball options that make your underarms feel all sticky; blegh! The Mitchum Ultimate Pure Fresh Deodorant comes in several types, I always opt for the cream version as this is simply what I prefer and do you know what? It works like an absolute dream. Yes it is pricey, but I don’t think you can put a price on confidence when it comes to body odor….just saying. These days I try not to talk about this product too much as it really has been at the forefront of my blog for a very long time now. In a nut shell I still adore it and continue to use it every single day. I have linked my review to this as it may be worth a read if you are thinking of trying this out this year. Sticking with Kiehl’s for one more moment, it goes without saying that again when it comes to skincare Kiehl’s is heavily featured. The Midnight Recovery Concentrate is something which I reach for a couple of times a week when my skin is feeling particularly dehydrated or looking like it needs reviving. This is such an incredibly light weight oil which works beautifully on my skin leaving it feeling soft, hydrated and by morning really nice and bright. Without a shadow of a doubt this was probably the best new skincare purchase that I made last year. This mask in particular stood apart from the other two which were released alongside it. 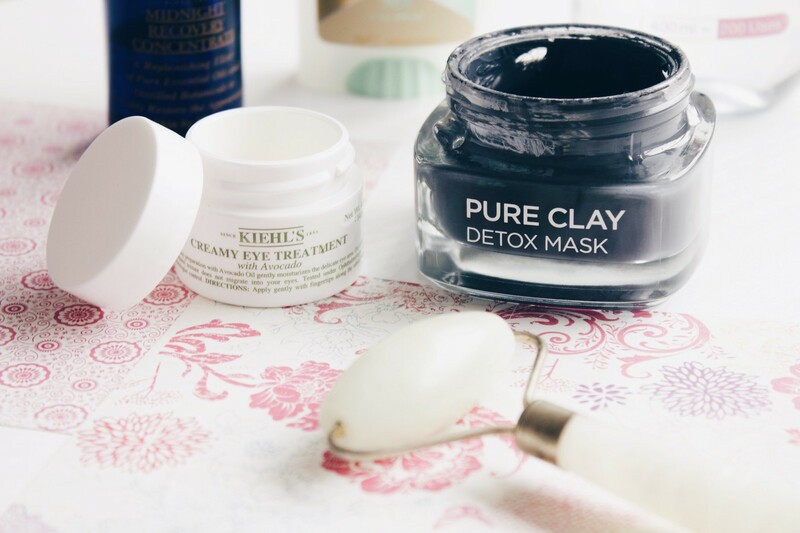 Having tried a fair few clay masks in my time I would most certainly say that this is within my top three, particularly when you take into account its affordability and indeed availability. The Jade Facial Roller had always been a product which had intrigued me, yet it was one which I couldn’t quite bring myself to purchasing. It is, after all quite expensive. That being said, when it came as part of the Cult Beauty Box last May I decided to finally treat myself and make the order. Essentially this is a massage tool for the contours of your face, it’s said to make you look younger which I am pretty darn sceptical about, Having said that, it really helps to reduce congestion I think and also to help with lymph drainage and to get circulation flowing. Do you need it? Probably not but it’s a nice little beauty treat that I like to indulge in every now and then. 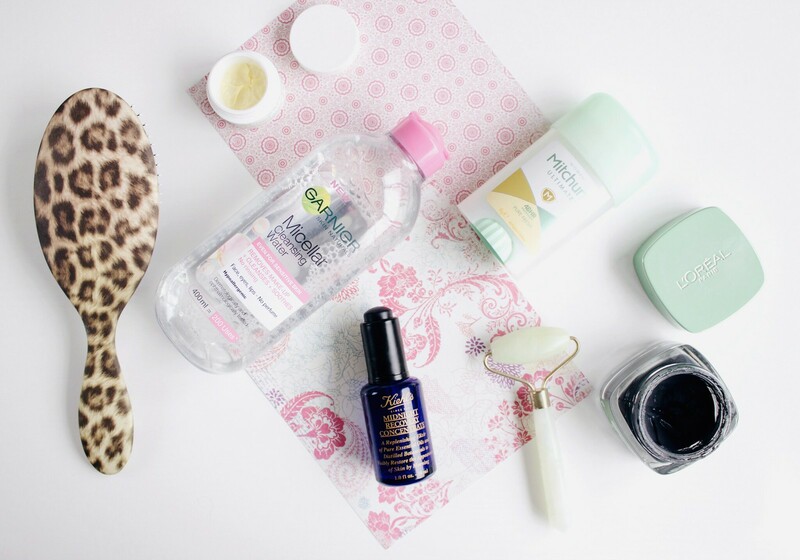 Did you spot any of your beauty favourites here?